Christoph Koutschan (Austrian Academy of Sciences), Manuel Kauers (Johannes Kepler University, Linz, Austria), and Doron Zeilberger (Rutgers University) will receive the 2016 AMS David P. Robbins Prize for their paper, "Proof of George Andrews's and David Robbins's q-TSPP conjecture," Proceedings of the National Academy of Sciences (USA) (2011). (Photos, left to right: Koutschan, Kauers, Zeilberger.) 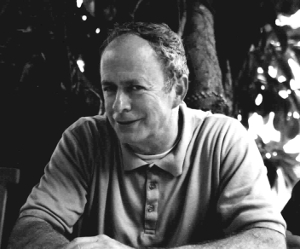 Manuel Kauers is a SIGSAM membe. More details on the paper and the prize are available at http://www.ams.org/news?news_id=2871. 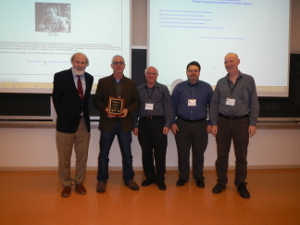 The 6th Richard D. Jenks Memorial Prize for Software Engineering Applied to Computer Algebra was awarded at the Fields Institute in Toronto during the Major Thematic Program on Computer Algebra to Professor Victor Shoup for NTL: A Library for doing Number Theory. See the award page for details. Issue 193 of ACM Communications in Computer Algebra (CCA) is now available. It won't appear on the digital library for a few weeks but SIGSAM members with an ACM web account can download the pdfs now from our CCA archive. The issue includes abstracts for the posters presented at ISSAC 2015. 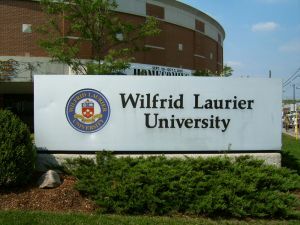 The 41st International Symposium in Symbolic and Algebraic Computations (ISSAC 2016) will be held at Wilfrid Laurier University, Waterloo, Ontario, Canada on 20-22 July 2016. The ISSAC 2016 website is now online. The First Call for Papers has been made and can be read as a text file here. SIGSAM now has a Twitter account @acm_sigsam! 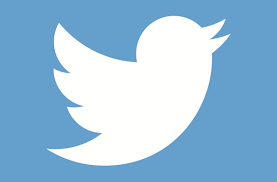 This will tweet SIGSAM news and announcments; and retweet stories of interest to the Symbolic Computation community. The Chief SIGSAM Tweeter is Alexander Konovalov from The University of St Andrews, UK. The Proceedings of the 7th International Workshop on Parallel Symbolic Computation are now available online. SIGSAM members can access them from the ACM Digital Library at this link. The Proceedings of the 40th International Symposium in Symbolic and Algebraic Computation are now available online. SIGSAM members can access them from the ACM Digital Library at this link. The proceedings include 43 contributed papers selected by the Program Committee and invited papers from the 3 invited speakers and 3 tutors. 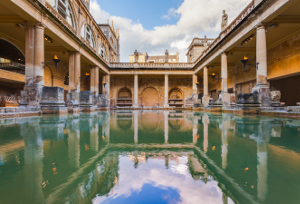 The following SIGSAM sponsored awards were presented at the ISSAC 2015 Banquet, held in the Roman Baths, Bath, UK. The full citations can be found on the ISSAC Awards Page. The Call for Nominations for the 6th Richard D. Jenks Prize for Software Engineering Applied to Computer Algebra has been made. The prize will be awarded at The Fields Institute in October 2015. All nominations must be received by the (extended) deadline of Friday September 4, 23:59pm EDT (+4 GMT). Further details and the nomination form are available at this link. Issue 192 of ACM Communications in Computer Algebra (CCA) is now available. 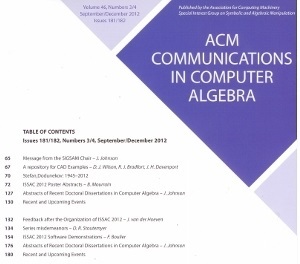 The issue includes: abstracts from the ACA 2014 Conference and a paper on Partitioning of Algebraic Subexpressions in Computer Algebra Systems. The full programme for the 40th International Symposium on Symbolic and Algebraic Computation has been announced here. 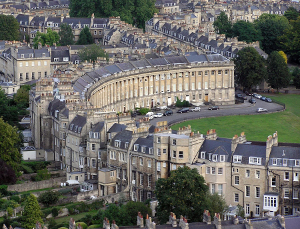 ISSAC 2015 will be held in Bath (UK) on July 6-9 2015. Online registration details are available here. Issue 191 of ACM Communications in Computer Algebra (CCA) is now available. The issue includes: abstracts from the ACA 2014 Conference and two papers on the SDEval Benchmarking Toolkit and The Computational Geometry Algorithms Library CGAL. ACM OpenTOC is a service for ACM Special Interest Groups to open the content from recently held conferences. It enables visitors to download content from the ACM Digital Library at no charge for a one year period following the conference start date. 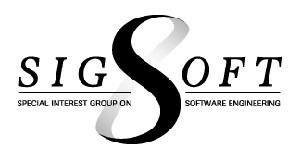 SIGSOFT have recently compiled a list (available here) of all 2014 OpenTOC papers. 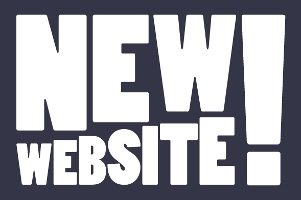 SIGSAM has a new website! 15-19 June 2015: MEGA 2015 in Povo (Trento), Italy. 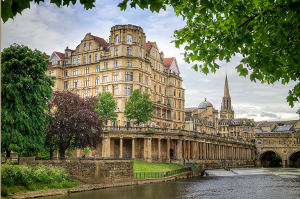 10-12 July 2015: PASCO 2015 in Bath, UK. 13-17 July 2015: CICM 2015 in Washington DC, USA. 19-25 July 2015: CoCoA15 in Fort Collins, Colorado, USA. 20-23 July 2015: ACA 2015 in Kalamata, Greece. 3-7 August 2015: SIAM AG:15 in Daejeon, South Korea. 14-18 September 2015: CASC 2015 in Kassel, Germany. To include your meeting on these lists contact Infodir_SIGSAM@acm.org. Issue 190 of ACM Communications in Computer Algebra (CCA) is now available. The issue includes: abstracts from the ISSAC 2014 Software Presentations; an article by Abramov and Barkatou on linear differential and difference operators; and an article by Monagan and Pearce on Maple's polynomial data structures.